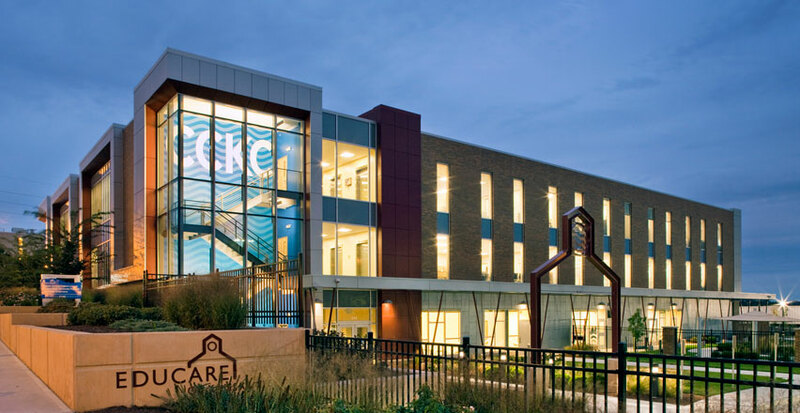 In a community where nearly 40 percent of children under the age of five are growing up in poverty, the Children’s Campus of Kansas City (CCKC) partners are working together to ensure children have access to high-quality early education (U.S. Census Bureau). CCKC recently underwent a renovation that will expand early education services and improve partner collaboration at the campus. Earlier this year, Project EAGLE moved their home visitors’ offices to the third floor, making room to build two additional classroom spaces in their Educare School. With the added space, The Family Conservancy (TFC) is partnering with Educare to administer Early Head Start services to 16 additional families. “The partnership brings a high-quality program (Educare) into our growing Early Head Start Kansas family. With their knowledge of Early Head Start and quality curriculum, they provide a model of high-quality implementation,” commented TFC Head Start Director Pam Black. The expansion is a great example of the public-private partnership that makes the work of the CCKC partners possible. Funding for the classroom expansion was provided by community support — as individual and foundation gifts. The additional Early Head Start slots are made possible by federal funding granted to TFC. The grant provides funding for TFC to partner with local child care centers and family child care providers, serving infants and toddlers from low-income families, to administer high-quality early education and comprehensive family support services. In addition to expanding the Early Head Start reach, the new partnership will offer Educare teachers professional development opportunities and continuing education scholarships through TFC’s EHS grant. One effort is currently underway to train a Project EAGLE team member as a curriculum instructor. “Having a trainer at Project EAGLE builds capacity in our community — allowing the training of new teachers to be done in-house at Educare, and creating opportunities for future collaboration assisting area partners with training,” said Black.